IndiansinKuwait.com - !!! 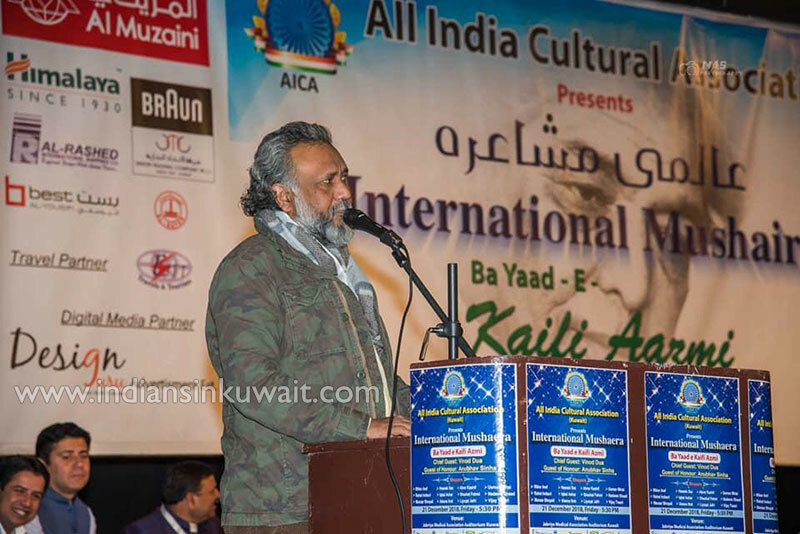 International Mushaira by AICA Kuwait !!! !!! International Mushaira by AICA Kuwait !!! Mushaira has a long history and certain traditional characteristics. India, Arabia and Iran had the tradition of mushaira. Ameer Khusrau in the foreword to his Ghurat-ul-Kamal described, a mushaira attended by princes and other eminent personalities of the city to be a cultural event, with its own etiquettes and decorum. It was an opportunity for the younger generations to learn, not only the language or the craft of poetry but manners and propriety and modesty as well. 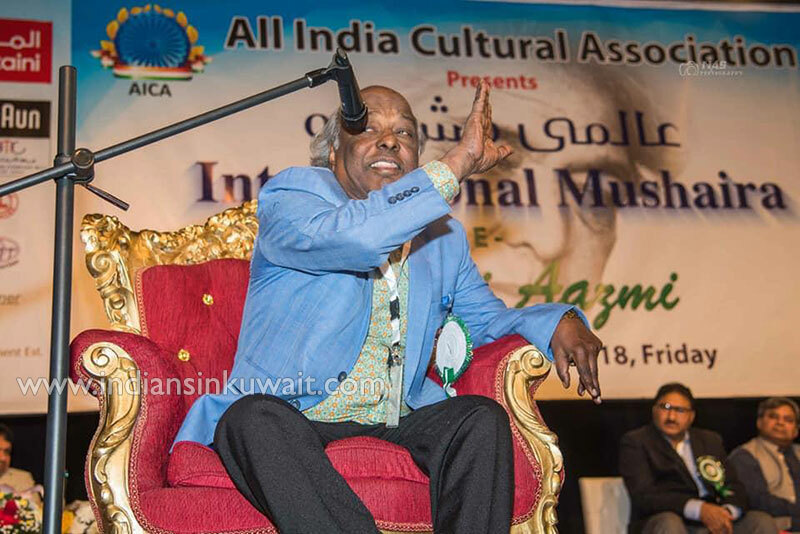 The “International Mushaira”, cornerstone programme of All India Cultural Association, Kuwait (AICA) was held at Jabriya Medical Association Auditorium on December 21, 2018. This is the fifth year in succession of AICA being in forefront of organising such mushairas. Keeping in with its mission of promotion of intercultural dialogue, AICA strongly believe that people from different cultural backgrounds have a lot to give to each other and without proper skills of intercultural communication and intercultural dialogue competences, it is very hard to start and sustain efficient intercultural cooperation. 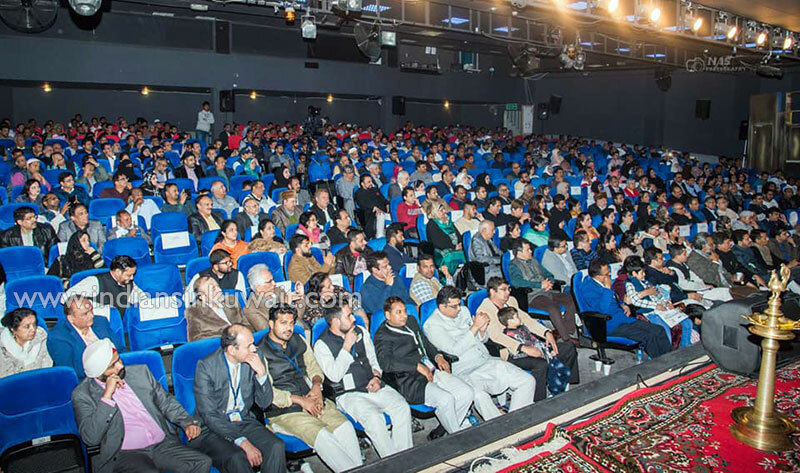 The Mushaira was well attended by poets of international stature and repute from India, Pakistan, Dubai and USA. 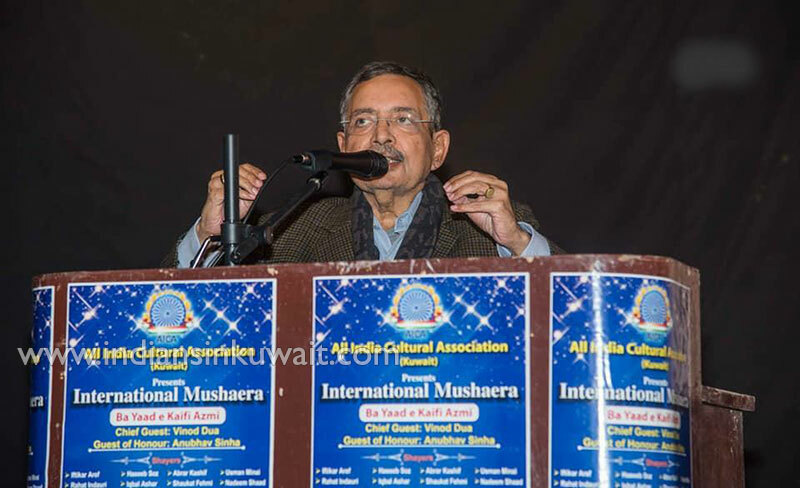 The Mushaira was presided by the celebrated Rahat Indori, a keen and well known poet from India and the Chief Guest was Padma Shri, Vinod Dua, an Indian media and TV personality. He has served the Indian media in different positions such as Political Commentator, Election Analyst, Director, Producer, and Anchor. The Guest of Honour was Anubhav Sinha, a Mechanical Engineering graduate from Aligarh Muslim University, who is a famous movie maker from Bollywood. Some of his block buster directions are movies like Tum Bin, Shahrukh Khan, starrer, Ra One – and recently released Mulk. Asif Nizamuddin Siddiqui was the Special Guest who is an ardent supporter and the spirit behind AICA’s activities. The compere for the evening was Abrar Kashif, a veteran Urdu poet and a celebrity in his own right. With his perfect diction and interesting couplets, he lent a lively touch to the evening. President Sanjay Saxena & General Secretary Ali Memon Welcomed the Guests.